Accidents happen. If you get injured in an accident, it can drastically change your life. You won’t be able to do the usual things you do at home or outside for some time. It can leave you frustrated. You will feel all sorts of emotions that don’t help you with your recovery. Supporting an injured family member can be stressful. You may be in a place to help your loved one, but you don’t know how to give them the proper care that they need. After they leave the hospital, someone needs to continually look after them at home, treat their wounds, and provide companionship. Because you have work, errands, and other things that you need to do, taking care of them can be difficult. To keep wounds from getting infected, you need to clean them frequently. Our caregiver can assist your loved one in cleaning their wounds and replacing old bandages with new ones when need be. They can also apply ointments for the wounds to heal faster. Your loved one may be experiencing limited mobility problems. These can keep them from moving around in their own home to being able to go to their physical therapist’s appointment or any social events, causing them to feel helpless. With the help of our professional caregivers, your loved one can continue to go wherever they need to be. Our caregivers can support your family member in getting around the house. They can also accompany them to their appointments and social gatherings. There are moments when your loved one becomes irritable and cranky. No matter what you do, you can’t appease them. Because you’re also human and have other things to do, you lose patience and quarrel with them. As much as you want to understand their situation, you also have other problems of your own. Caregivers only have one job: to focus solely on their patient. It will be helpful for both you and your loved one to get a caregiver to fulfill your needs. You can continue with your work or personal activities with ease. Meanwhile, your loved one can have a companion who can be gentle and patient with them all throughout their recovery. By being kind to a recovering person, you allow them to talk about their feelings, relieving them of their pain and anger. 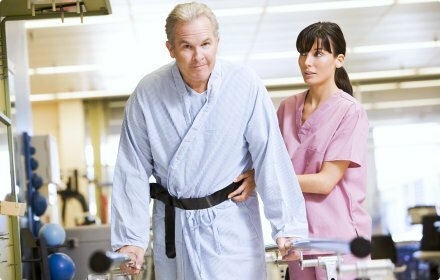 Hire a caregiver now! Please know that we provide Multicultural Quality Home Care Services in Massachusetts. We care about our community as much as you do. Set an appointment with us at this number: 617-934-4473. This entry was posted in Recovering From Injury and tagged cleaning wounds, moving problems, patient companion. Bookmark the permalink.